I get these and similar questions about the “grade levels” all the time. It’s probably my most frequently asked question. My usual response is that the grade levels are subjective. The material that Build Your Library covers is content based – history, art, literature, science – these courses aren’t typically measured so much by grade as by interest. No one would pick up a copy of A Wrinkle in Time and ask themselves “What grade level is this book?” Yet when it comes to history, science, or any of those other content subjects, we tend to think in terms of grade level. Why is that? I think we have been ingrained by society to think of education as boxes to tick off – a 6 year old is a 1st grader who must know these specific things. That is a public school model for learning. 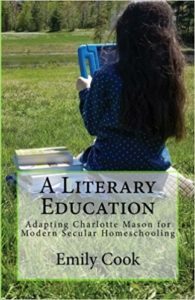 As homeschoolers, we are freed from those chains, yet we have held on to them. They are comforting. They tell us that we are on target… that our children are learning what they ought to learn. Over the years, customers have asked me if we could change the Grades to Levels. I have been brainstorming about that for a while and I think it is finally time that Build Your Library evolves and adopts this change. As of now, all of our full year programs will now be designated “levels” rather than “grades”. This doesn’t change any of the actual content. But it might make it easier to choose a level to begin at when you are first starting out, or make it easier to use one level with multiple children without the oldest thinking they are doing “baby” school work. 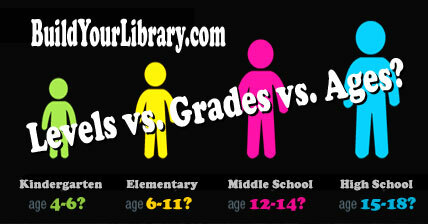 For those accustomed to the previous “Grade Level” format of Build Your Library, Level effectively equals Grade. If you have previously purchased a BYL Grade Level curriculum, this update is very minor and only difference is the reference to Level vs. Grade vs. Age. You would not specifically need an updated copy of this instructor guide (like if we made changes to the booklist, schedule or other functionality…) unless you want a copy that references a numeric level. Let us know and we’d be happy to send you a new copy. Please bear with us as we update the references throughout the webpage. There may still be instances where levels, grades or age ranges may still be used interchangeably. I’m so glad you are switching to levels. My 9 year old is loving grade/level 2 but hates that the book and work pages say grade 2. It makes her feel behind her public school friends when I know she’s actually ahead of most. I too, really appreciate incorporating levels instead of grades. My 10 yr old son has had insecurity with workbooks that state grades that are lower than his “grade.” This is a great idea!